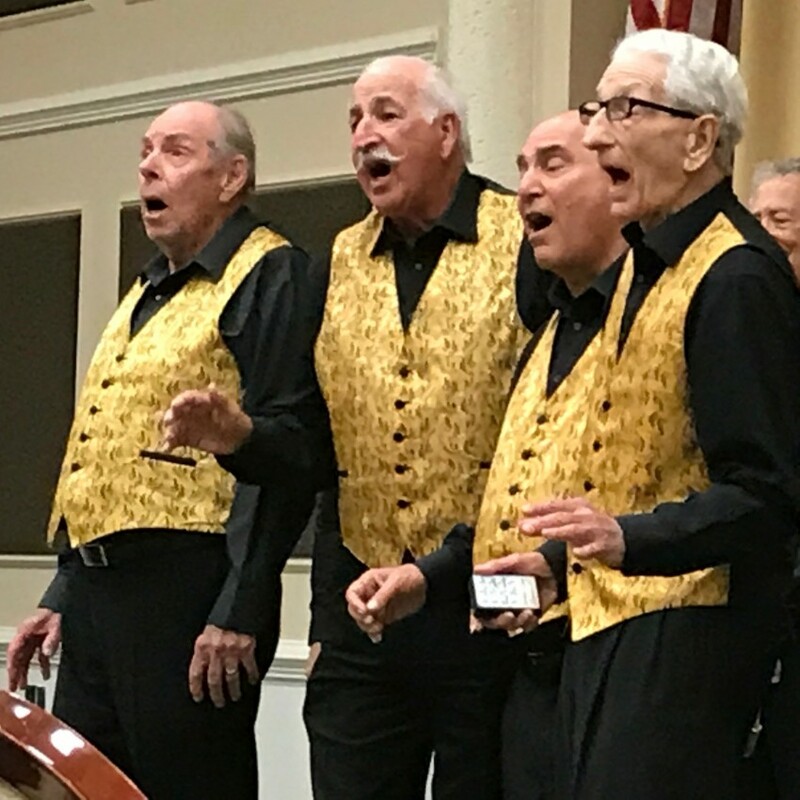 CAMEO Quartet is a male 4-part A Cappella group singing in the Barbershop close harmony style throughout Palm Beach and Broward counties. Our repertoire includes a variety of music from Broadway show-tunes to Doo-Wop, Patriotic melodies to Gospel, Upbeat to Ballads. We perform at parties, weddings, corporate events, birthdays, private homes, HOA's, residential communities, country clubs and senior communities. Our performance style ranges from concert performance from a stage to singing at table side to strolling entertainment. We offer a variety of clothing styles to meet any occasion. What a performance, totaling entertaining. There was 4 generations present for their performance at my father's 93rd birthday party. Everyone thoroughly enjoyed themselves! The Quartet was entertaining, very friendly and of course, the singing was incredible. Plus they were nice enough to travel from Boca Raton to Miami. Overall, it was a wonderful experience! Thanks, so much, for your positive review. Wonderful audience. It was our pleasure to entertain your family. 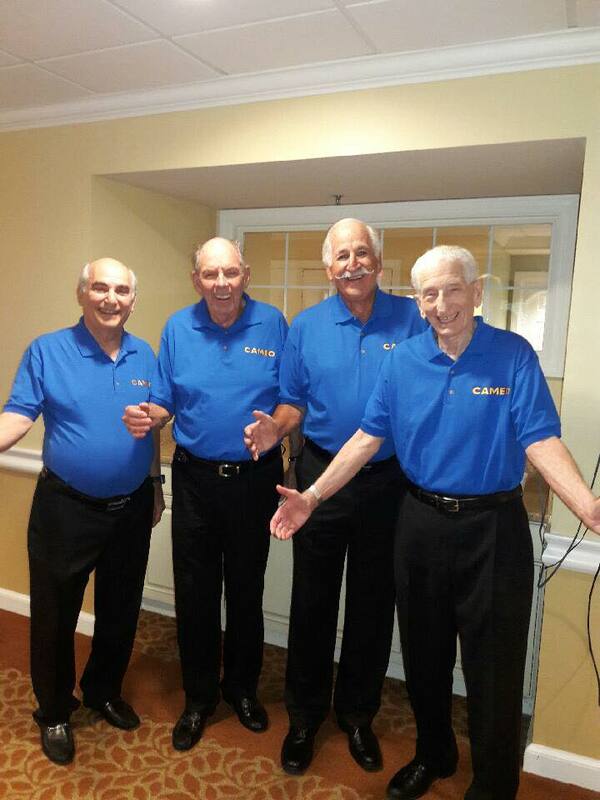 I hired Cameo Barbershop Quartet to surprise my mother on her 90th birthday at her bridge club. They were fantastic. So wonderful, easy and pleasant to work with to plan the event. They sounded terrific. They were fun and engaging. Looked great and made her day. When the bridge people saw them in the room, someone commented that there must be an important event happening at the country club because a very high end group looked like they arrived! it was this group. Everyone asked where they came from and contact information. I was so grateful for these wonderful men giving my mom such a once-in-a-lifetime experience on such an important day. An entertaining experience of close harmony of songs from the Beatles to The Beach Boys to Broadway show-tunes, Pop standards to Patriotic to Gospel and even a sing along. Each performance is tailored for the specific event and audience. 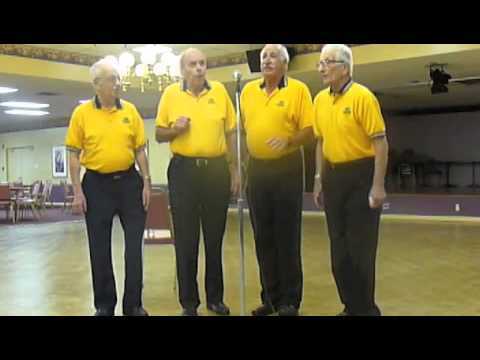 CAMEO Quartet is registered quartet with the Barbershop Harmony Society, singing 4-part close harmony for over 15 years. We have an extensive repertoire of music from many genres an addition working on new selections to add to the repertoire. We sing from a stage (concert style) or Cabaret style walking around the area singing to smaller groups. Each event is tailored for the specific audience and could include an opening with "On A Wonderful Day Like Today", Beatles "When I'm Sixty-Four", Doo-Wop like "Under The Boardwalk, "Goodnight Sweetheart, Goodnight", "In The Still Of The Night", Broadway like "Over The Rainbow", "Lida Rose", Till There Was You", Patriotic like "Star Spangled Banner", "Oh Canada", "God Bless America", "America The Beautiful", Beach Boys Medley of "Barbara Ann" & "In My Room". Popular current selections Steppin' Out With My Baby, Coney Island Baby, Daydream, In The Still Of The Night, Lazy River, Play A Simple Melody, The Story Of The Rose, All I Have To Do Is Dream, Zip-A Dee-Doo-Dah, Irish Blessing, This little Light Of Mine, Beer Barrel Polka, Everybody Loves A Lover, I'm Beginning To See The lIght, If You Knew Susie, Muskrat Ramble, They Wrote 'em In The Good Old Days, Daydream and on and on.